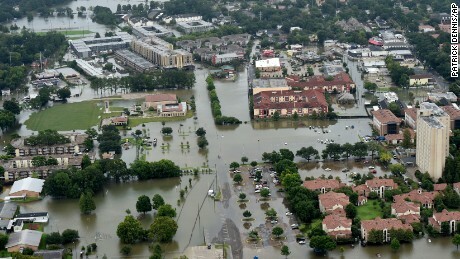 Louisiana, and particularly Baton Rouge, was hit by severe flooding last month. The photographs of destruction and displaced families are heart-wrenching. Unfortunately, with the election season ramping up to full throttle, the devastation of Louisiana is already being crowded out of society’s attention. Ordinarily, I would expect that relief agencies and compassionate individuals ought to have the situation well in hand, and that insurance mechanisms have kicked in to help the flood victims rebuild their lives. Everything working as it should, the flood damage is sad and inconvenient (to put it mildly), but the situation should be manageable. Time to move on. Next crisis, please. The best that these uninsured residents can hope for is a FEMA grant with a maximum amount of $33,000, and perhaps a low-interest federal government loan to rebuild. For many, that just won’t cut it. By the way, this isn’t just a problem for those who have lost their homes and possessions, it is also a problem for society that faces the prospect of hundreds, perhaps thousands, of blighted properties. This is not a call for a massive government bailout of these unfortunate individuals, nor is it a call for tighter regulations that would make flood insurance mandatory for even the slightest exposure. My major concern is what is going on in the minds of these property owners that would cause them to act seemingly irrationally by foregoing flood insurance? With several public service announcements broadcast on behalf of the National Flood Insurance Program to raise awareness of the exposure and the NFIP solution, ignorance does not explain it. It seems more likely that the sparse flood insurance purchases are a manifestation of the old saying that “you can lead a horse to water, but you can’t make him drink” (no pun intended). The average cost of flood insurance for Louisiana homeowners is around $700/year and would have covered up to $250,000 on homes and $100,000 on personal property. That’s not an outrageous expense, to protect the most significant asset that most people own. So why didn’t more people have flood insurance? The “it-can’t-happen-to-me” attitude should have been swept away by hurricane Katrina, super-storm Sandy, and many other weather events of recent memory. I don’t have the answer, and it pains me because I love the power of the insurance industry, its product, and its people to move into disasters such as this and put people’s lives back together. When the people in need of the help fail to take the minimal steps (relatively speaking) to protect themselves by securing the powerful insurance mechanism for their own benefit, I feel for them and I long to send them back in time so that they might make a better choice. Unfortunately, they will have to serve as hard lessons to those who still have time to make that better choice, and prepare for disaster by securing the proper insurance. I only hope that the next victims of flood, fire, windstorm, hail, etc. are watching and learning from the despondence of Baton Rouge. This entry was posted in Insurance and tagged Baton Rouge flood, flood, flood insurance, Louisiana flood on September 2, 2016 by drdavidallenbrown.